Stickers are one of the most fun feature of WhatsApp. However sometimes we are unable to use this feature on the application. Especially there are too much user reports that they can’t send stickers on WhatsApp after update. If you are having the same problem, you can check our solutions below. If you would like to ask anything related with this problem, please feel free to ask us. Can’t Send Stickers on WhatsApp after Update, How to Fix? Close WhatsApp on Your device. Go Settings > Apps > WhatsApp > Force Stop > Storage > Clear Data and Cache > Go Back > Uninstall. This is going to fix your problem with the application. If this isn’t work for you, you will need to use older version of the application. If stickers are disappeared on your devices, you will need another solution for this problem. This generally occurs because of the application you use for stickers. This is not related with WhatsApp itself at all. However WhatsApp can make some changes in their coding system anytime and refuse to implementation of these apps and stickers. Please don’t change settings of your application and your phone because of this problem. You can check our detailed troubleshooting to fix this problem. Please check these instructions for reinstalling WhatsApp to your iOS devices. You don’t have a chance for installing older version of the application for iOS devices unfortunately. So you will need to reinstall the app. If it doesn’t help you, you will need to send a feedback to WhatsApp through App Store or send a mail them. When you reinstall an application on iPhone, you already delete cache and data of the application. So you will not need these steps at all. 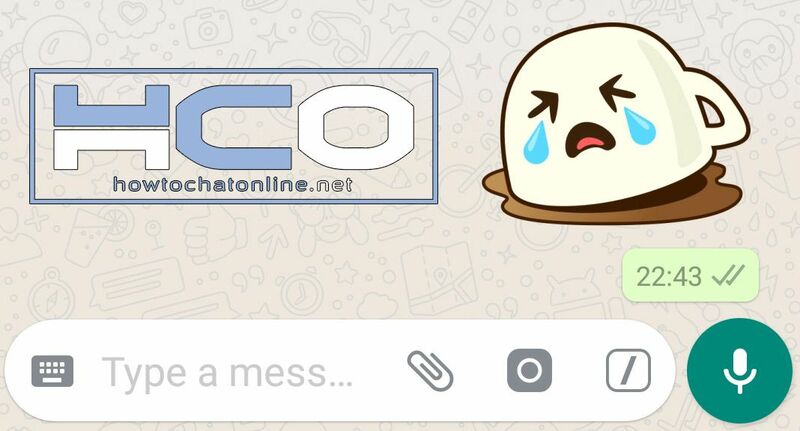 If you can’t send stickers on WhatsApp after update, we recommend you to notify devs about the issue. You can also see this solution if you can’t see WhatsApp stickers option on Android Keyboard. ← WhatsApp Doesn’t Work with Mobile Data, How to Fix?